The NJSEA has plenty of events in September, including guided nature walks with the Bergen County Audubon Society, the final month of our pontoon boat tours and stargazing at the William D. McDowell Observatory. 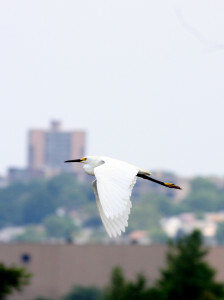 Next month’s free nature walks are Sunday, Sept. 6, at Mill Creek Marsh in Secaucus and Tuesday, Sept. 15, at Harrier Meadow in North Arlington, normally closed to the public. Both walks are from 10 am to noon. The William D. McDowell Observatory is open every Wednesday in September from 8 to 10 p.m.for free public viewing nights. In addition, the Observatory will be open from 7:30 pm Sunday, Sept. 27, to 1:30 a.m Monday, Sept. 28, so the public can view a Total Lunar Eclipse. The peak of the eclipse, when the Earth is positioned completely between the Full Moon and the Sun, will take place at approximately 10:45 pm. The event will include a talk on the history of eclipses and telescope viewing of other astronomical objects, including Saturn and Neptune. There’s still time to get in a pontoon boat ride along the Hackensack River before the season ends in late September. These great rides offer a whole new perspective of the Meadowlands’ amazing natural beauty and wildlife. For times and registration information click here.